kinja really hates that copy and paste, huh? 1. Chipotle doesn't do all of its own cooking: Some is done by an outside company, the same one that makes McDonald's McNuggets, Big Macs, and McRibs. OSI, a global meat processing corporation with facilities in 17 countries, also supplies McDonald's with its burgers, nuggets, and other "value-added protein items" on its menu. 2. Some of Chipotle's locally sourced food travels thousands of extra miles so it can be processed in Chicago. "The less distance food has to travel," Chipotle's website says, "the better." Sourcing locally — defined by the company as within 350 miles from the restaurant — has long been part of the Chipotle mantra. It's good for local economies, the environment, and the consumers, who get to enjoy the freshest foods. But the ingredients for the carnitas, barbacoa, beans, and salsa bases, even when raised or grown just a short distance away from the restaurants serving them, have all traveled through Chicago, either through OSI or Miniat facilities. This is for consistency purposes, even if it has the potential to add thousands of food miles to your burrito. "You get cuts delivered and packaged to our specifications," Arnold said. "It's prepared in a really efficient and consistent way by having that done in fewer places than you would doing it in multiple places." 3. Chipotle's animal welfare standards may be better than other national restaurant chains, but they are still unclear. A big part of Chipotle's "Food With Integrity" philosophy is sourcing what it calls "responsibly raised" meat (originally called "naturally raised"). However, "responsibly" and "naturally raised" are not terms regulated by the government, and Chipotle does not require producers to have a third party certification, such as Certified Organic or Certified Humane. "'Natural' is on the honor system," wrote food expert Dr. Marion Nestle in her book What To Eat. "Some producers of 'natural' meats may be honorable, but you have to take what they say on faith." Chipotle's version of responsibly raised meat has three main requirements: animals have received no added hormones, no antibiotics ever, and were humanely raised. BuzzFeed asked to see the full definition of the responsibly raised standards, but the company declined to share them. "We struggle with getting people to understand the most basic elements," said Arnold, "and adding details really runs the risk of muddying that understanding further." Several food and animal welfare experts recognize Chipotle for its efforts. "My reading of this is that they would like to be sourcing all of their meat from natural, sustainable, antibiotic-free, and cage-free farmers but can't always get it," said Nestle. 4. Chipotle is importing grass-fed beef from Australia, despite American producers lining up to work with them. Last month, Chipotle CEO Steve Ells announced that the company was sourcing grass-fed beef from Australia, saying "the U.S. supply isn't growing quickly enough to match our demand." Many American producers, though, disagree. "We firmly believe that [Chipotle] could find domestic sources for all of their beef," said Marilyn Noble, the American Grassfed Association's Communications Director. The Texas Agriculture Commissioner also wants in. "Texas ranchers want to be successful," Bryan Black, Director of Communications for the Texas Department of Agriculture told BuzzFeed. "If there is a major market for grass-fed beef, then you can be sure many Texas ranchers would jump at the opportunity." But Chipotle did not contact these organizations before the announcement, nor did it respond to AGA's email offering more domestic suppliers afterward. "The price premium on grass-fed beef in the United States makes it a less viable solution unless we're willing to raise prices," Arnold said in explanation of the company's decision. 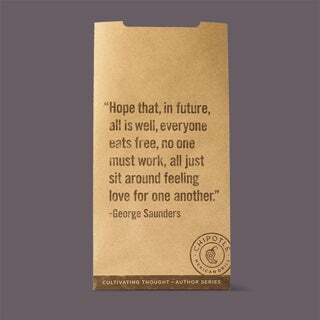 Environmentalists would like Chipotle to find a way to source domestically. "We hope that importing from abroad is a temporary measure while they work to improve and transform the U.S. supply chain," said Doug Sims at the Natural Resources Defense Council. "Clearly, the best option is to minimize transport costs and impacts and have more U.S. sources of better beef." In the meantime, the savings on Australian beef may not last. Thanks to increased global demand for it, prices for Australian beef will go up in the second half of 2014. According to The Daily Livestock Report, "implying higher costs for beef processors and ultimately US consumers." 5. Chipotle will not disclose which Australian companies are supplying its grass-fed beef, making the environmental impact of importing it widely unknown. By telling consumers that the Australian beef is from 100% grass-fed cattle that have never been given antibiotics or hormones, Chipotle is providing more information than most companies do about the origins of their meat. But without the names of the companies, consumers can't fully understand or assess the environmental impact of importing grass-fed beef instead of using conventional beef from closer to home. Grass-fed beef isn't necessarily better for the environment than the conventionally raised kind. "To be 'better' or 'sustainable,' producers must verifiably follow best practices," said Sims, noting that "climate smart" ranches take steps to maintain soil health and limit their release of carbon dioxide. "To verify whether their beef comes from a responsibly managed ranch, consumers increasingly want to see an independent, third-party standard and certification. The Sustainable Agriculture Network's cattle standard, used by Rainforest Alliance, offers one such program for beef." Arnold says that all imported beef has "USDA label claims and is certified by AusMeat," but neither address the questions about environmental impact. 6. Chipotle's ingredients include GMOs and trans fats. Although Chipotle initially resisted calls to disclose its ingredients, it published a comprehensive list in March 2013, becoming the first national restaurant company to do so. The annotated list on the website reveals that despite backing GMO labeling, Chipotle's tortillas and tortilla chips are still made with GMO corn and soybean oil. The tortillas are also made with hydrogenated oils, better known as trans fats. Arnold said the company "hope[s] to have GMOs removed from all of the ingredients by the end of this year." Chipotle chefs are also looking for ways to make tortillas without hydrogenated oils, which Arnold said is "so little it rounds to zero under labeling rules [which require listing trans fats only if they are above .5g/serving]." Reconfiguring the tortilla recipe, Arnold said, "isn't simple" because both the available substitutes — lard, which isn't vegetarian, and palm oil, which is environmentally destructive — present their own problems. 7. 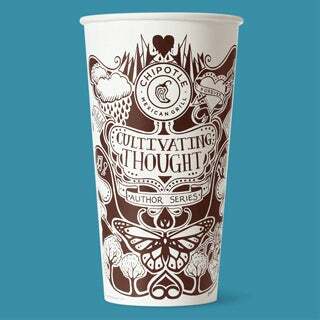 Chipotle's advertising campaigns are as much fiction as fact. Chipotle's advertising campaigns (including the Willie Nelson tracked commercial "Back to the Start", "The Scarecrow" featuring music from Fiona Apple, and the Hulu original series Farmed and Dangerous) all compare the horrors of factory farming with idyllic, beautiful sustainable agriculture. But viewers should not confuse these fictional stories with Chipotle's, or their competitors', actual practices. For one, Chipotle does rely on conventionally raised meat when it can't find enough responsibly raised meat. (Importing beef from Australia will help but not solve the problem, Arnold said, as it's "filling at least some of that gap.") So it is not as removed from industrial agriculture as the ads imply. 8. The restaurant's "Cultivating Thought" campaign features the work of 10 writers, but none of them are Mexican or Latino. The creative campaign features 10 pieces of original work from American writers printed on the restaurant's packaging. But there were no Latino writers on the roster. "Personally, I was puzzled by the lack of Mexican-American voices for an organization that built itself as a restaurant that's a Mexican grill," says Professor Alex Espinoza of California State University, Fresno, who has launched a Facebook page in response. "By not paying attention to the contributions of Mexican-American writers, it says in a very subtle way that Mexican-Americans are not capable of creating stories, that we're not capable of creating art, and the only thing that we're capable of doing is standing behind the sneeze guard shoving a burrito full of beans." Arnold told BuzzFeed that Chipotle reached out to more than 50 writers, including Latinos, but that none wanted to participate. "It was never our intention to omit any group of writers and there were several Latino authors on the initial list," he said. "If we do more of these, we'll continue to broaden that outreach and hopefully add to the diversity of voices." 9. Chipotle's two CEOs were paid a combined $49.5 million in 2013, while the average entry-level employee salary starts at $21,000. Steve Ells and Montgomery Moran, who share the CEO title, have each made more than $100 million since 2011, the New York Times reported in May. Each earned more than the CEOs of Ford, Boeing, and AT&T. An average entry-level employee "would have to work more than a thousand years to equal one year of the co-CEO's pay," wrote David Gelles in the New York Times. "Given the amount of money that Chipotle's paying its executives, I think it can do a better job of paying its workers and American ranchers, without having to go to Australia," said Eric Schlosser, the writer and producer of Fast Food Nation (both the movie and the book). Arnold told BuzzFeed that Schlosser's suggestion was nonsense.